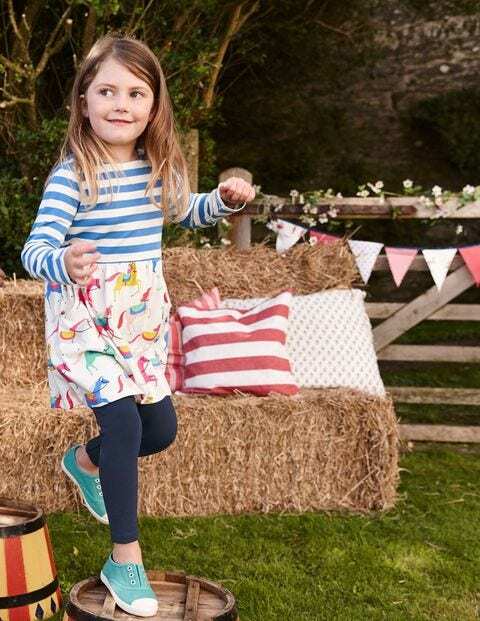 Let big imaginations run wild with the eye-catching prints on our jersey dresses. Handy front pockets keep all those super-important treasures safe, while long sleeves ensure warmth on chilly days. And the stripy pattern… well, that’s just fun to look at.